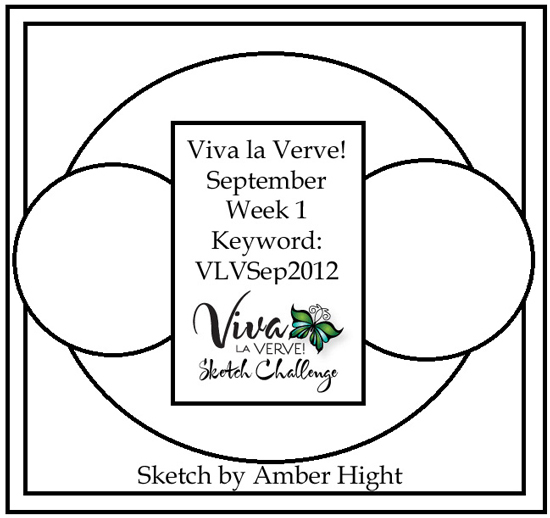 Well I must say, the week one Viva la Verve sketch for September frightened this stamper a little bit. I looked at it and looked at it before forming an idea…that evolved and evolved until this card was complete. I kept the square format. The blue background designer paper has been stitched in the corners for a little interest. I will get the hang of the stitching one of these days… Next comes a couple of Spellbinders die cuts followed by three die cuts from Verve…the two flowers and the sentiment panel. The sentiment was stamped on the same designer paper from the background but was trimmed to fit the panel. Two strips of the red card stock were added for a little more interest. Some embroidery thread through the hole in the tag, a little more in the buttons and done! 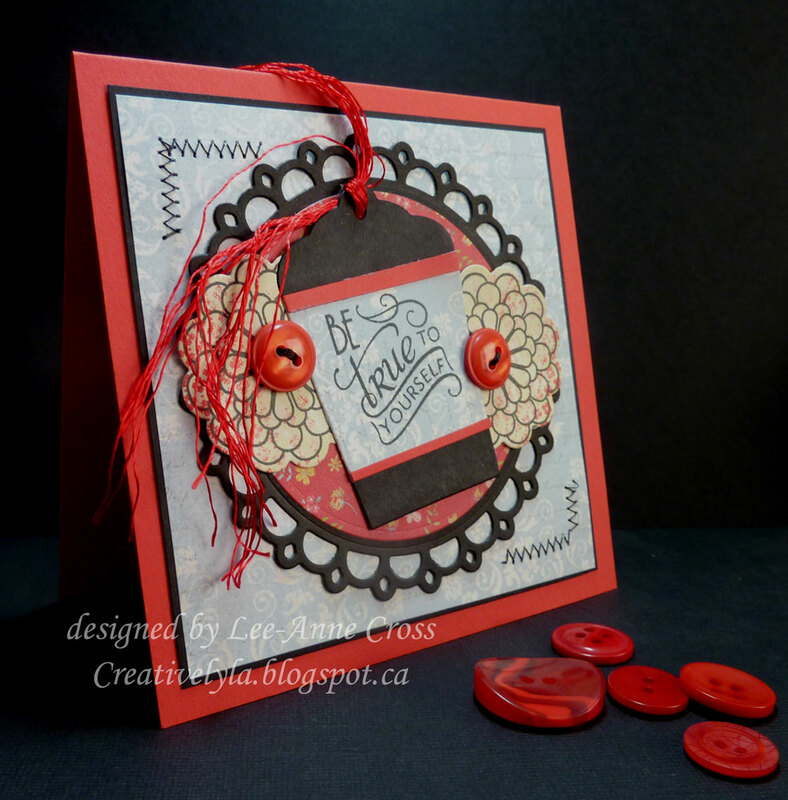 And…on to the next Verve challenge…deadline is fast approaching and this stamper is a little behind! This is pretty. I love that sentiment. The font is awesome. Your papers and flowers are pretty with just a touch of stitching in the corner. Lovely card. You are rocking these Verve sketches! Great job with a touch sketch!